Still haven't evolved that Magikarp into a Gyarados? Need a few more Dratini candy before you can get that uber-powerful Dragonite? Fret not, frustrated Pokemon Go players, for a new special event should help you along the way. Dubbed simply the "Water Festival," this limited time celebration will result in a higher spawn rate for Water-type Pokemon from now until March 29, 1pm Pacific. Specifically, you should notice more Squirtle, Totodile, Magikarp, and their evolved forms. And if you're in a Water-type-heavy area, you have an increased likelihood of encountering Lapras in particular. 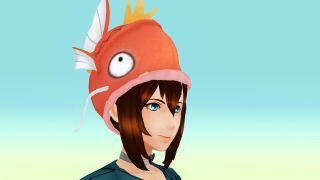 If you're all set on actual Pokemon, the Water Festival also adds a Magikarp hat for your trainer avatar to wear. Yup, Pokemon's dumbest fish, on your head. And it doesn't even cost any PokeCoins! ...Yay?